TRIBE and Maverick are joining forces this November, to Run Free and raise funds for the TRIBE Freedom Foundation to fight modern slavery. Come and support your friends and family as they push themsleves to the limits to raise funds for TRIBE Freedom Foundation. 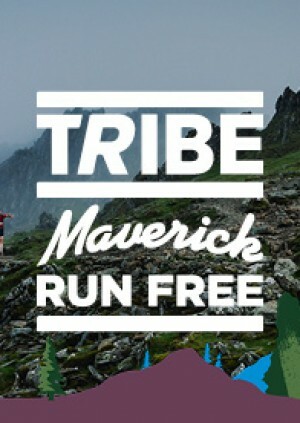 You'll have an amazing chance to explore the beautiful South Downs and the stunning trails surrounding Hollycombe Steam Fair, all whilst supporting the TRIBE x Maverick Run Free Campaign with a £5 donation to TRIBE Freedom Foundation. Claim your free TRIBE breakfast shake on entry!! In true TRIBE x Maverick style, there will also be a big post-race celebration to celebrate. There will be delicious hot food, limited edition TRIBE x Maverick Trail Ales, a TRIBE Shake Shack with delicious hot-choc protein shakes, live DJ and a cosy chill out zone to kick back and relax! Round up your friends and family to explore the magical Hollycombe forest and cheer you on as you cross the finish line.